This is the first book in the Oz series by L. Frank Baum. 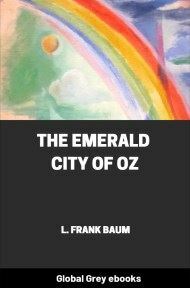 One of the true classics of American literature, The Wonderful Wizard of Oz has stirred the imagination of young and old alike for over four generations. 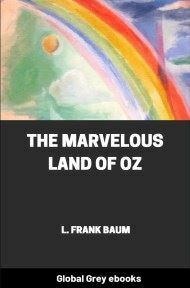 Originally published in 1900, it was the first truly American fairy tale, as Baum crafted a wonderful story out of such familiar items as a cornfield scarecrow, a mechanical woodman, and a humbug wizard who used old-fashioned hokum to express that universal theme, "There's no place like home." 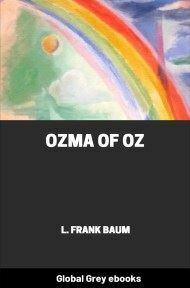 Dorothy lived in the midst of the great Kansas prairies, with Uncle Henry, who was a farmer, and Aunt Em, who was the farmer's wife. Their house was small, for the lumber to build it had to be carried by wagon many miles. There were four walls, a floor and a roof, which made one room; and this room contained a rusty looking cooking stove, a cupboard for the dishes, a table, three or four chairs, and the beds. Uncle Henry and Aunt Em had a big bed in one corner, and Dorothy a little bed in another corner. There was no garret at all, and no cellar—except a small hole, dug in the ground, called a cyclone cellar, where the family could go in case one of those great whirlwinds arose, mighty enough to crush any building in its path. It was reached by a trap–door in the middle of the floor, from which a ladder led down into the small, dark hole. When Aunt Em came there to live she was a young, pretty wife. The sun and wind had changed her, too. They had taken the sparkle from her eyes and left them a sober gray; they had taken the red from her cheeks and lips, and they were gray also. She was thin and gaunt, and never smiled, now. 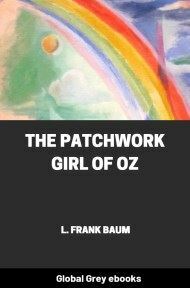 When Dorothy, who was an orphan, first came to her, Aunt Em had been so startled by the child's laughter that she would scream and press her hand upon her heart whenever Dorothy's merry voice reached her ears; and she still looked at the little girl with wonder that she could find anything to laugh at. To–day, however, they were not playing. Uncle Henry sat upon the door–step and looked anxiously at the sky, which was even grayer than usual. 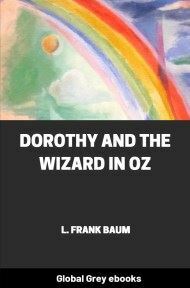 Dorothy stood in the door with Toto in her arms, and looked at the sky too. Aunt Em was washing the dishes. "There's a cyclone coming, Em," he called to his wife; "I'll go look after the stock." Then he ran toward the sheds where the cows and horses were kept. "Quick, Dorothy!" she screamed; "run for the cellar!" 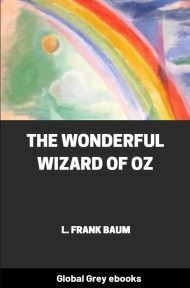 Toto jumped out of Dorothy's arms and hid under the bed, and the girl started to get him. Aunt Em, badly frightened, threw open the trap–door in the floor and climbed down the ladder into the small, dark hole. Dorothy caught Toto at last, and started to follow her aunt. When she was half way across the room there came a great shriek from the wind, and the house shook so hard that she lost her footing and sat down suddenly upon the floor. Toto did not like it. He ran about the room, now here, now there, barking loudly; but Dorothy sat quite still on the floor and waited to see what would happen. Once Toto got too near the open trap–door, and fell in; and at first the little girl thought she had lost him. But soon she saw one of his ears sticking up through the hole, for the strong pressure of the air was keeping him up so that he could not fall. She crept to the hole, caught Toto by the ear, and dragged him into the room again; afterward closing the trap–door so that no more accidents could happen.